We decided to consolidate all of our monthly newsletters on one page, that way if you miss one, you can always return here to read the gist of it! If you haven’t already, the first thing you should do is claim your free subscription to the Code Conquest newsletter. Enter your email address below to be regularly notified of additions and changes to the site. We won’t spam you, and you can unsubscribe at any time. #19 July 2013: What’s the Most Widely Written Programming Language? #22 July 2013: Guess the Programming Language – Round 2! #26 August 2013: The Training Recommendations Are Over – Almost! #27 August 2013: Is Codecademy Really Worth It? #32 March 2016: New content, Easter eggs, and Deals! #33 April 2016: Prince, Career Advice, and New Content! #34 May 2016: Coding Cheat Sheets, and Lots of New Content! #35 June 2016: Swift Playgrounds, Treehouse TechDegrees and More! #36 July 2016: AMP Initiative, Job Boards, Quizzes, Cheat Sheets, and More! 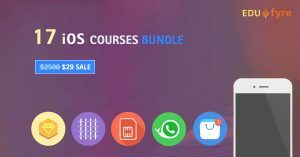 #37 August 2016: $10 Udemy Deal (Expired), Treehouse TechDegrees, and More! #38 September 2016: Jimi Hendrix Coding Joke, Win $10,000, and Mobile Development Deals! #39 October 2016: Coding Career Advice, Sources for Help, and a Great Deal! Thanksgiving is now behind us, and the holiday season is in full swing! We hope you got to spend time with your family and that it was lovely! Since it is a time of year where most of us consume too much food, it would be a great time to think about some healthy coding tips! Most courses and software development books talk about the technical side of the career. You have to worry about things like product design, testing, commenting, source control, and much more. Yes, these are all important things to know – and be mindful of – as a successful developer. What many of these resources don’t talk about, however, are the psychological, health, and knowledge aspects of the job. So, today we will. If you get stuck on a problem or have issues with your code, it’s okay to take a break. There are many studies that explain working in smaller chunks can actually make you more productive. Stay active, healthy, and creative. Your physical health matters too, so don’t spend every waking hour sitting in front of a computer. Get out and get some exercise. In your free time, strengthen your brain by being creative. You’ll need it when it’s time for the design phase! Participate in open source. As a developer, one of the best things you can do for your reputation and clout is work with a successful community. Believe it or not, a lot of employers pay attention to these communities and even make hiring decisions with them. Stay current on technology news. When you have your head down, working diligently, it’s easy to forget there’s a world around you. Technology advances fast, so it’s important you stay up-to-date and know what’s happening in that world. Never stop learning. Just because you’re content working with a single language or platform, doesn’t mean you should stop seeking out new knowledge. Always take the time to read new tips, advice, practice new languages, and learn new technologies. Employers are more willing to hire developers that understand current market trends. Be open to criticism and mistakes. No one is perfect, and that means no developer is perfect. If you fail, make a mistake, or have the opportunity to get feedback – even negative – relish the experience. The only way to grow stronger is to identify your weaknesses and patch any holes. You can’t do this if you’re getting things right all the time. Finally, love what you do! Want more advice like this? Check out the CodeConquest.com blog! 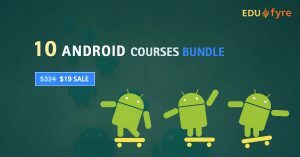 iOS and Android Development Courses On Sale for Cyber Week! Have you ever wanted to learn Android and iOS mobile app development? Think the courses are usually too expensive? Well, they are! The 17 iOS Courses Bundle Deal normally sells for $2500, but we have an exclusive deal where we can offer it for $29!! If you’ve never heard of it before, EDUfyre is “a bootstrapped startup” created to supply “access to the world’s best online courses and instructors in the field of Information Technology” to everyone. Their courses are great and include a ridiculous amount of lectures – the iOS course has over 200 hours of video! Anyone can participate, even if you have no prior coding experience or knowledge. FYI – We send reminder notifications to users on our Deals list so you never miss a great opportunity to learn for less! Sign up today. Did you know you can transform your career – and life – in just six months by becoming a professional coder? It seems like a lofty claim, but it’s true, and possible. Especially, if you invest your time wisely. Follow this simple guide and make it happen! You can also subscribe to courses through Treehouse, Lynda, and many others. They offer a variety of programs to help you learn computer languages in a short amount of time. Want to test your knowledge of a specific language or topic? Give our free coding quizzes a try! Each quiz has a total of 10 questions picked at random from a larger pool, and they’re all multiple choice. It’s a different test every time you take it! This question was taken from the Ruby quiz. You’d be surprised how many get it wrong! 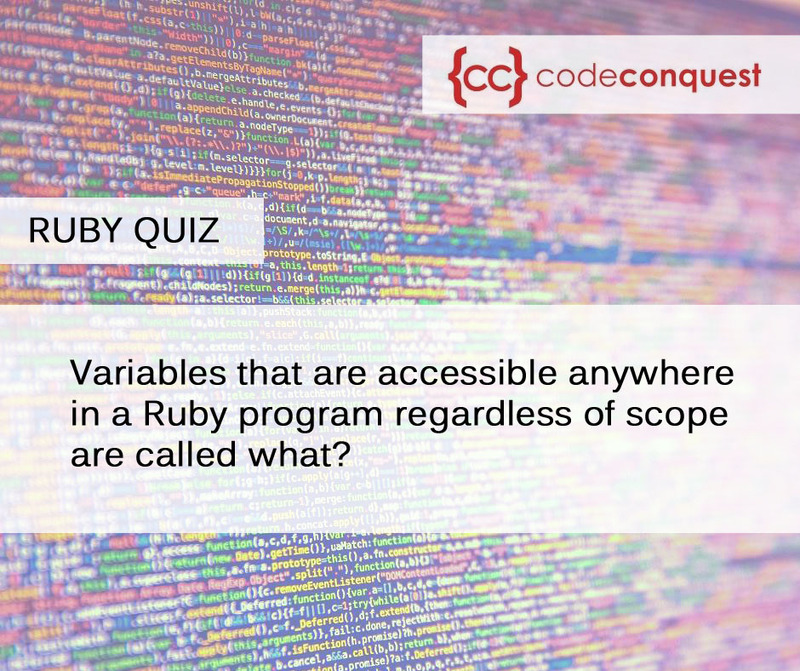 If you know the answer, or want to take a guess head on over to the Ruby quiz now. Looking for Work as a Programmer? Don’t forget, we also have a section with advice on finding a development job. It explains what to specialize in, what plan to follow, finding a new job, and preparing for an interview. Check it out if you’ve never read it before. Language Cheat Sheets are Live! Our language cheat sheets are available to download! They contain a collection of notes, facts, and commands you can reference at any given time. Think of them as a study card, but for programming. They’re handy when you find yourself stuck and need help getting past an error. 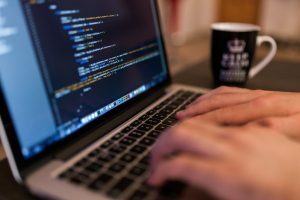 You may also be interested in reading about these handy coding tools, many of which will make your job as a developer easier. If you have any suggestions for improvement or new features you’d like to see, just head to our contact page!